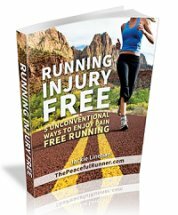 Running in hot weather is something that most runners have to contend with at some point in their running career. It is best to know the facts and the dangers so that you will know how to prepare properly for these conditions. We have natural defense mechanisms to protect us from these conditions, which is why our bodies want to us to slow down when we get too hot. We can aid our bodies to prevent the onset of severe heat illnesses. There are three heat illnesses that a runner may be subjected to while running in hot weather. The long distance runner is most at risk as the length of time exposed to these conditions increases the possibility of becoming ill.
Heat Stress While experiencing heat stress, you will need to run slower than normal. You are sweating profusely and you will probably experience cramps in the legs or in the diaphragm. Heat Exhaustion This more severe level of heat illness is characterized by extreme fatigue, dizziness, loss of muscle control, nausea, vomiting, headaches, and an increase in body temperature. You may also experience chills and difficulty speaking. Your body has lost a lot of fluid and electrolytes that it needs to keep its cooling system working properly. Heat Stroke This is a life threatening condition. Your body has stopped sweating and your body temperature has risen to a dangerously high level. You can experience disorientation, extreme weakness, confusion and eventually unconsciousness.This condition is a medical emergency and medical assistance must be obtained immediately to bring down the body temperature. If this happens to you, you probably won't have any memory of what happened, but this is a serious illness and if not treated immediately can result in a coma, brain damage, or even death. In extreme conditions, you may want to consider other options such as running on a treadmill, an indoor track or deep water running. Increase your sodium intake. You will be sweating more than usual. The sodium will help you maintain a healthy fluid level. We also lose vitamin C, potassium and calcium when we sweat. Ensure you have sufficient amounts of these nutrients in your diet. Increase the amount of water you normally drink before, during and after you run. If you are in a climate hotter than you are used to, you will be sweating more than usual even when you are not running. These fluids must be replaced. Drink an ice slushy or slurry before you run. A recent study shows that runners were able to run longer in a hot environment after drinking a slushie as opposed to drinking cold water. The effects won't last for the duration of a long run, but it will make the initial part of the run easier. Another way to pre-cool your body before running is to wear an ice-vest or cooling vest and/or sit in an air-conditioned room before running as discussed in this article on Pre-cooling can boost endurance. Use sport drinks or coconut water for hydration to help replace valuable electrolytes that are lost during long runs. If you are going to be running more than an hour, these drinks will help you feel less fatigued. They also aid recovery after your hot weather run. Adjust your pace to the temperature. Slowing your pace will reduce the risk of a heat illness. Run in the shade whenever possible to avoid direct heat from the sun. Early morning runs will also present a more comfortable temperature. Walk breaks give your body a fighting chance against the heat. They will aid your body's cooling mechanism in bringing down its temperature and provide you with a short recovery period. Plan to take regular and more frequent than normal walk breaks in hot weather. Dress appropriately for the weather. Wear light-coloured materials that enhance evaporation - no cotton. Wear a hat to protect your head and carry a handkerchief to wipe away sweat. A sponge that you can soak with water regularly is quite refreshing and provides a great cooling aid. When you are finished running in hot weather, try to cool down as quickly as possible. Rest in a shaded area or an air-conditioned room. A cold shower will help you cool down and bring your temperature back to normal. The sooner you cool down, the faster you will recover from your hot weather run. Recently, I relocated from a cold climate to Singapore, which is of course quite close to the equator. The temperature here is basically the same every day, all year. The daily temperature is usually about 33°C (91°F) and the humidity makes it feel like 40°C (104°F). I really struggled running in these temperatures during the first couple of weeks. It was so difficult to run in the heat and I wasn't enjoying it. I even tried deep water running as I thought I was going to have to stop running. 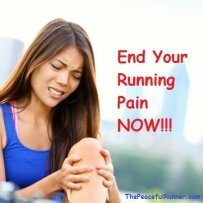 Some days I felt quite ill after running and I began having a leg cramps at night. I attributed these affects to dehydration, lack of sodium in my diet and possibly lack of calcium and potassium as well. I changed my diet particularly the sodium in-take and I was determined to succeed (as everyone knows all runners are a little obsessed). It is beginning to pay off. It has been almost four weeks now since I moved to my new "hot" location. 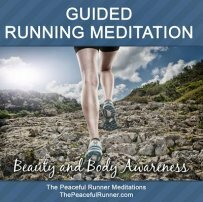 The running is getting easier, the leg cramps have eased and I feel good after a run. I even managed to do some speed training last week. It is still not easy running in hot weather and I don't run as fast here, but I am determined to maintain my running fitness. When I struggle, I concentrate on my form and think positive, reinforcing thoughts and it is working!